Please Note: StackAnywhere has been discontinued and will no longer be updated. 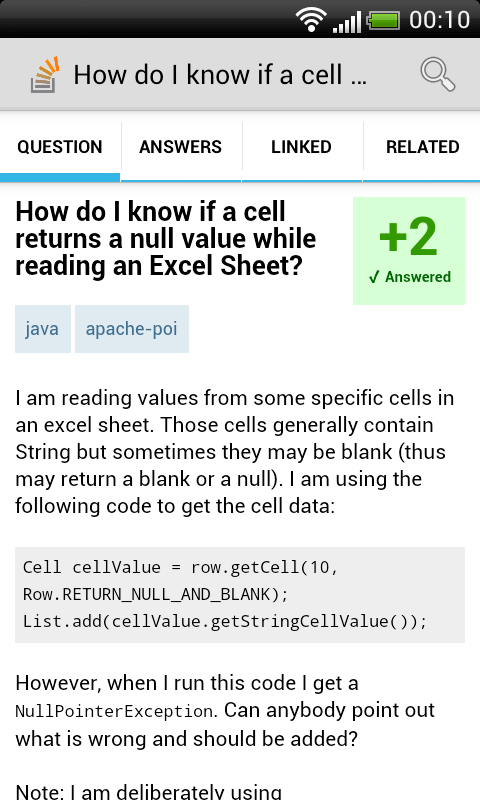 There is a now an official Stack Exchange app for Android that provides full write access to sites in the Stack Exchange network. As such we have removed the ad-supported Silver Edition from Google Play and made the ad-free Gold Edition free-of-charge for anybody who may still want to use it. It may remain of interest to users running pre-4.0 versions of Android who cannot use the new official app. Browse questions and answers by site, tag, or user. Home screen widget showing avatar, site reputation, badges, and daily reputation change. 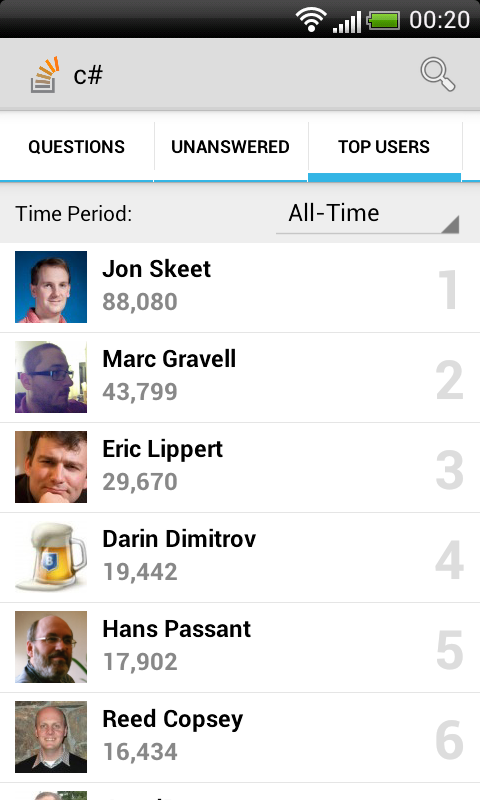 Add one widget for each of your accounts or even add widgets to follow other users. Tap the widget to launch the user profile view. User profile view including favourite questions, badges and linked accounts. Tag view with top users lists and tag wikis. Question view showing answers, comments, and linked and related questions. Swipe left and right on the answers tab to step through answers. StackAnywhere is developed by Rectangular Software Ltd and is not in any way affiliated with or endorsed by Stack Exchange Inc.